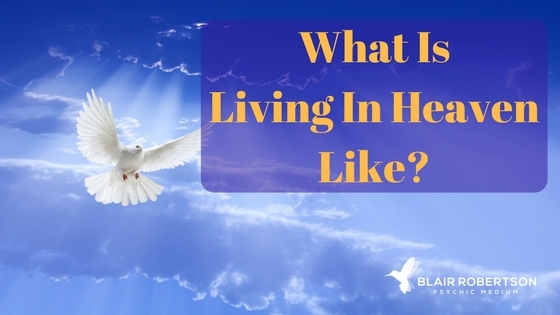 What Is Living In Heaven Like? Life in heaven is beyond our human comprehension. In this brief video that I reveal an epiphany/analogy that my spirit guides revealed to me. It illustrates the magnitude of life after death. Does that help clarify things for you about heaven? Feel free to post your comments below. Please join my VIP Member List by clicking the image below. Be first to hear about new articles, get free weekly inspiration and hear about my live events before anyone else. 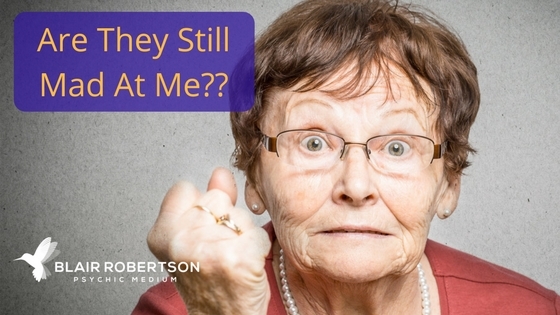 Deceased Loved Ones: Are They Still Mad At Me? Good morning Blair.I just watched the video of Heaven.Its still obviously incomprehensible for us to get it.But knowing our loved ones are free and unconditionally loved is as great an explanation needed.Also thank you for always reassuring us that love never dies. Wow, I’m so happy to have that explained in that way to me it’s just such a beautiful way to explain it! Thank you! Can our soul thats in our body now in our living body be in other bodies at the same time of life? Thank you, Blair. You’re a good guy. Thank you Blair, interesting thought. I love this analogy Blair, thank you so much for sharing it! Love you Blair ,Thanks So Much for always keeping us informed! My husband, Jim, used to ask the Minister of our Church almost every Sunday if he could tell him where heaven was, and the Minister continually answered with “you’ll know when you get there”. This wasn’t the answer Jim was looking for, but he often wondered about it. Jim had been in a coma for 2 weeks before he passed, and three days before he actually passed, he hugged me and his eyes were bright and shiny and a big smile was on his face. I knew that he had glimpsed Heaven and was ready for the next life. This of course gave me great comfort in knowing he would be happy, and I told him that he’d better be waiting at the Gate for me. Thank you so much for sharing. It is very helpful. Love never dies. So I was wondering, what do we look like in heaven? Thanks yet again Blair for taking time out from your beautiful R&R to help enrich our lives….what a wonderful description. Makes total sense too! Thank you Blair that made a lot of sense. Ihave had that experience and the life is fantastic, I did not want to return on earth but was told my time was not to be yet so here Iam back on earth , it was great………. Loved your answer! Coming and going from this world, will always be an awesome mystery! I guess I just can’t comprehend. You say our loved ones are still here as spirits but if they’re still here what is heaven? As a child we were taught you go to heaven (or hell lol) but if you’re in heaven how can you be a spirit here. Hey Blair loved the video many years ago during a dream state I visited a friend who passed from suicide what I see was absolutely beautiful beyond my wildest imagination I was told that this was heaven and I didnt need to worry about him anymore because he was in this amazingly beautiful place. Fast forward 6 years ago I was doing hospice care for my Aunt she was afraid to die when I told her this story she didnt believe me but than lapsed in a coma when she came out of her coma she whispered in my ear that I was so right and it is everything I described to her It gave her peace and me confirmation she passed away a month later. What a lovely description! My cousin passed away and came through to a medium to his grandmother. He told her he was learning from the masters there? What do you think he meant? Is it like Jesus learning biblically or is it music fro m Bach or mathematics from Einstein? Just wondered about that. So do they think, do they remember, do they know they’re in heaven? Blair if i move on in life with Apple New partner who helps climb out of my deep grief .does my idea departed husband understand or feel aggrieved apnd is the “”death us dopart”” vow enforced to allow him to marry. My mother passed away in 1988. A few days before she passed, she sat up and stated to me “dont ever be afraid to die, it’s beautiful, she sees her mother, father and brother”…I found such peace ever since she said that to me that I have no fears like I did before…. I was told a while ago during a reading, that my mum was late coming through to see me….then when she arrived, she said she’s been very busy looking after children! And I also remember another reading where a relative plays the piano up there. So- there IS real life after!! people and also reach out to me. ears ? what do they want ? Thank you so much for sharing Blair. Always look forward to hearing from you. Your analogy makes perfect sense. Love, Light and Blessings for you and Wendy….. Thank you for sharing Blair. Love and light! I have been receiving repeating numbers. 333,444, 1111. I have once again been guided to write about this experience. Am I correct with all these thoughts? Everytime I ask Michael, my son, to send me a sign he always does. I miss him so much. How do I go about requesting a phone reading and price? Thank you! You bring comfort and peace. Hi – I was just wondering if you could ask a loved one who has crossed to the other side, where would they describe “heaven” to be and if, they would describe it to us, as if it was like a “rebirthing” experience? And if you could ask them if there are non-humans from other existences other than earth? You see, I too believe we are just visitors and that is why it takes us so long when we are growing up to get used to our bodies- our new earthling form? Will we now are loved ones when we leave this world. Will they be in spirt for. Will we be able to say with them and what do we do when we get there. Hello Blair ! Thanks for your interesting video on heaven. I have a question : i would like to know if our parents when they die actually stay “our parents “? What I mean is that I’ve been reading recently that, in the afterlife, we are all souls…no more family “role” or relations.. like we all are “. Actors” of theater on earth, but after, we are not in family relations anymore…. i lost my dad recently and I wonder if he still sees himself as my dad or not….it makes me feel like I’ve lost him twice ….. and i wonder if we still have in afterlife, the great bond we can have with someone here on earth…….. I hope my sentences makes sense as I am French and maybe can not clarify my thoughts as I would like…. I don’t know if you can answer this question but Thanks a lot by advance. I thought I had heard you say in the past that there is no heaven and hell. Could you clarify for me. Thank you! Thank you, Blair. Always thoughtful and insightful. I see you when you come to Melbourne, Florida. You are a comfort and inspiration. Twice you have brought my family through and I can never thank you enough. Love and light. The baby coming into the world is a good way to explain heaven Blair. I read more posts I hadn’t seen before, you always say that things are how I thought they would be. Was wondering if you are in Sedona to energize some things for us? Besides yourself. Also I wonder what happened to Debbie Marie. She n I discovered we were both having a surgery back in Jan. We talked n promised to check in on one another. I’ve never gotten an answer. Don’t see her here anymore either. Light n prayers to her. Love Never Dies Blair. Enjoy! do our love ones see us and know what we are doing. would love to hear from them. My Dad and I never got along. After he died remorse. Decades later I asked him to contact me. Weird enough my Son and I have the same relationship. We don’t like or speak. Blair Robertson What Im going too post below was put on a Widows site i belong too, and It is a wonderful letter / post that was shared .. I have re-read it over and over last few days and I love the fact that it is also what you tell US and everyone going through this everyday… I hope you enjoy it as much as I do.. and that you will comment and pass it on too your followers . Please keep negative comments, and differing beliefs off the comment section. This is only meant to comfort those that need this, and accept this. The rest of you, can go about your grief the way you do. And I acknowledge you. Now that I am in Heaven, I know that life for you there just isn’t the same. I want you to know that I hear you say how much you miss me and love me every day. Yes, I still hear you. I love you so much too. My love for you will never waiver from Heaven. I can’t say that I miss you because you see, missing you is a negative emotion and we simply don’t have negative emotions here in Heaven. And so, instead of missing you for all of the years that you have left in your life, I will Love you through them. I know it is hard to continue on when you feel you are walking through life without me, but I want you to know that I am right here next to you. I walk through your life with you now, guiding you and helping you along the way. Our relationship never ended when I graduated to Heaven, it is simply different now. Heaven is all around you. Heaven is truly only 3 feet off of your floor. I want you to look for the signs that I leave for you from Heaven. You won’t have to look very hard because I will surround you with signs in so many different ways. You see, I am limitless when it comes to leaving you signs. Birds, butterflies, silly shaped rocks, rainbows, clouds that look like me, electronic mishaps, songs on your radio, coins, feathers, oh I wouldn’t begin to be able to tell you how many different kinds of signs that I can bring into your path. When you see the signs I send, don’t let your conscious mind tell you that it wasn’t from me, because it really was. Sometimes you may miss the signs that I send you because it is hard to see the beauty in the world around you through tears and that is okay, I will just keep sending signs of love until those tears clear. I am not missing out on your milestones or the milestones within our family. I love the way you think of me so often. I think the ways that you and the family have honored me since I journeyed home to Heaven are pretty amazing. Please try not to dwell on the day and way that I passed each day, for my legacy of love that I left behind for you is so much more beautiful than my passing. It hurts you to think of my passing and that hurt is not the best part of me that I left for you. I want you to hold on to our sweet memories that we share with one another. When you find yourself in a day of tears, please just replace one of those tears with your favorite memory of me. I will sit with you as you remember me and enjoy the memory with you. I know you would love to see me in dreams every night as you go to sleep. I would love to be there in your dreams each night as well. When you say out loud, “I never see you in my dreams”, it places blocks in my way because your energy says that you don’t see me. I want to help you with that. I want you to change that phrase to, “ I look forward to seeing you in my dreams in your perfect timing”. It will help you to place this positive focus on seeing me in your dreams when the timing is right. The reason I don’t come every night in your dreams is because you really do need space to work through your grief as well. You see, you are gaining more strength through your grief than you ever knew you could carry in life. Part of that strength is my gift to you and that gift will only make sense someday when you return home to Heaven here with me. We spend our lives there living for our spiritual growth. Some of the most beautiful and strong spirits write some of the most difficult paths and I want you to be so proud of yourself for the life you are living with all of the obstacles you placed within your path. I also want you to know how extremely proud of you I am as I watch you learn and grow from Heaven. God didn’t punish you when I went to Heaven before you. I simply reached my soul’s beautiful goal of growth in life. I reached that amazing goal before you and it didn’t mean that I left you for one moment. I graduated to the next part of my eternal journey in Heaven. Oh, you should have seen it when I got here!! All of our family and friends who graduated to Heaven before me were right at my side to greet me when I arrived! Even the pets that we had long the way were waiting with smiles and wags as I walked into Heaven’s light! I went into a review of my life after I arrived and it was truly amazing to see all of the lives I touched there with mine. I got to re-live my life through the eyes of each and every person that my life touched along the way. It was beautiful to watch my life through your eyes as well. Don’t worry, when you get here, you will get to review your life through everyone’s eyes as well as your own and even through mine. There will be moments you are extremely proud of and there will also be moments that you will recognize that you could have handled differently. But, the beauty of those moments is that you are living and in your life, not everything will be perfect and that is just part of our growth. None of us can take back the things we could have done differently, but we sure can grow from those moments. Of course, me telling you this now gives you an opportunity to look at the days in your future differently so that you will be proud of them when you look back. I didn’t have to make myself a home when I arrived to Heaven because I already had one. You see, I lived in Heaven before I lived there on Earth with you and I simply returned to my beautiful home in Heaven. You will remember it too when you get here. The colors here in Heaven aren’t like anything you have there on Earth! The light that fills the air lifts our souls with love for it is made of God. The Angel’s choir has such a Heavenly sound that it brings peaceful showers of love down upon you all on Earth. The weather here is perfect always. Time doesn’t exist here which is really nice too, I mean we don’t have to run around heaven looking at our watches on our spirit wrists worried about being late for anything ha ha. You see, you can’t place a time on Eternity. We don’t work here in Heaven the way that you all work there on Earth, but we do work. We work on our spiritual growth as we are part of God and we are always working on the beautiful evolution of our Souls growth and strength. Just remember as you walk through your life each and every day, that I am right here at your side. I cheer you on in your times of Greatness and I wipe your tears in your moments of pain. So what if you have a day of tears, I will stay at your side for comfort. I can tell you that I am most proud of you as you get out and live life to its fullest. I don’t want you to think that you can no longer live because I am “Gone” because I am not gone at all.Carry me with you in all that you do for I am here. The dreams, that you wish you could have lived out with me in life, are still possible. And don’t you worry, I won’t miss them. My biggest message of all in this letter from Heaven to you,.. Is, that I am perfect. Don’t worry about me. I Love you, and I am with you for always. I want to see you live life to its fullest. I want to see you catch your dreams and I see you and hear you always both when you speak out loud and even when you speak silently to me in your mind. Someday this will all make perfect sense when you get to Heaven with me so don’t worry that it doesn’t make sense now. This was so beautiful and comforting!! Thank you for sharing! I just lost my mom on 1/1/19! How can I ask you this…? Are the souls sitting there doing nothing…? Are they getting ready to come back or just resting for good, because one time is all souls come to have a Phisycal body? Can they come and go if we need them, or just comunícate in crucial cases? Hi i lost my grandson 3weeks ago he,was 12 and that the only child my daughter has I miss him so much is there recarnation I believe in that. Can my grandson hear me and see me. I miss him so much I can’t deal with the pain how long would it take to get feeling little better. I want to speak to my mom so bad she died June 11th I miss her so much how do I do that? as much (he died in 98), esp since my mom died in 2017…but I always find pennies (nickles, dimes & quarters if I’m going thru a lot. After my husband died last May and my son in July…he’s let them come to me more often..but I found four new pennies yesterday and a dime a few days before (I was recovering from double pneumonia) snd had just gotten home from hospital. They are with us always…love never dies…nor does energy…I believe afterlife our energy lives on. Warm regards. On June 29, 2015 our Granddaughter gave birth to a baby girl in Denver. 12 hrs later at noon June 30 my husband passed away in FL. therefore he never got to meet his Gt. Granddaughter. This summer at age 2 yrs. she visited our home. I have several small framed photos on a table, she went to it and named all the family she knew. Then pointed to the last photo I had of my husband and asked who it was. I told her Grandpa, she carried the photo close to her heart for about a 1/2 hr as she acquainted herself with my home. That night she went to sleep in a room “Grandpa” spent most of his last 6 mos. watching TV. About 10pm after she was sleeping a few hrs she awakened crying. Her dad went in to look and came back very ashen. We asked what was wrong. He replied “ I asked Lila what was wrong and why did she awaken” she said “grandpa was hugging her”. The following morning at breakfast I asked her what woke her last night. She quickly replied “Grandpa came in my room”. We all accepted her answer and didn’t make an issue about it. But I do believe he came to meet her, what do you think? Thank you for reassuring that love never dies. I know that’s in the bible and the bible stresses love, love,love in all things. My husband promised to wait for me and I believe him. Every breath I take is for my husband. He made me know what real love was. I have ptsd from a bad marriage and believed true love was just something in a hallmark movie. We were fortunate to finally find each other. Three weeks after he passed I was diagnosed with breast cancer. I knew I had it 3months before but did nothing cause he was sick. He never knew. Too long to explain but only had tumor removed, no treatments. I just want to be with him. The cancer is triple negative, which is very aggressive and hormone therapy won’t work,so I’ve been given three years , and I’m ok with that. I am trying to sign up but can’t find where to? My mother was a very cruel , abusive mentally and physically person, I always loved her regardless, when she passed, she had not been talking to me for 5 months, she even kicked me out of hospital room, before passing, I always wonder did she ever loved me? Do they have regrets once they passed? Thank you, Blair, for an awesome analogy on what heaven is really like. I’m more convinced every day that fear of dying no longer exists within me. Especially when hearing your healing messages to loved ones and now having the privilige of reading your incredible, insightful books. Hope to be around for a long time, to see my grandchildren grow into incredible awesome humans! I’m truly excited to see what God has in store for me at my time of passing & how I will touch my loved ones left here to cope & understand “Love never dies” philosophy. A colorful & ahhh struck journey for sure! Switching gears, I have had such a heavy heart since seeing you in Seattle June 9. I do remember you stating that after readings, you don’t remember much. Messages are given, and you go on doing God’s work to those who need healing. I continue daily to have anxiety over a possible missed opportunity. A man came through, suicide. A brother mentioned with a “M” name. A woman stood up, her brother took his life and his name was Mark. You told her the message was not for her. I sat so quietly, listening carefully…my boyfriend of only 7 months took his life…he has a brother named Michael/goes by Mike. I didn’t meet Mike until after my boyfriends death. I invited 9 family members I never met to a celebration of life at my home on the river…such a peaceful place, and Mike just stared at the river saying, “”if my brother loved it here so much, why would he take his life?” Though my relationship was brief, I believe I was at the right place at the right time…God’s plan all along for my role in Gordon’s life! My purpose, I believe that day was to simply allow Spirit to flow through me to bless others. Since that awsome night of witnessing healings, I continue to remind myself how frustrating it was for you to have to send the spirit back. I question if just, by chance, Gordon did have something to say to me. It was 3 years ago the same month…June. I was your first person in line waiting to see you & graciously accept my books to be personally signed by you. I felt honored, yet, you were distracted. Couldn’t help but to think your guides maybe picked up on something. My timing may certainly have been off that entire night. I try to live my life with no regrets and working through this one for sure! My apologies for rambling. God’s blessings to both you & Wendy for everything you do for us…giving us hope, truth & validation to “Love Never Dies.” Your gift is forever cherished in the hearts of your follower’s. God bless you both. Looking forward to seeing you both again hopefully next year. Hi Blair, love your show babe! do you believe Jesus is the Son of God? do you believe in the bible as the word of God? do you believe in heaven from the bible or something different? How do you know if a spirit is a good spirit or a bad spirit? or are there such things? Do you believe in a hell? the hell of the bible? I truly believe that Heaven is exactly like Earth, WITHOUT all of the sin, evil, pain and the bad stuff. To me, Heaven would be to be around my loved ones in familiar surroundings, free of hate, sin, and pain–there would just be PEACE, laughter and HAPPINESS. wow, what a comforting thought.. Thanks for sharing Linda. Hi Blair… I feel touches now and then.. Is that from my departed loved ones? I had a near death experience in my sleep when I was in my 40’s…I believe it was from mixing XANAX with some alcohol earlier in evening. Tomb? But it wasn’t cold. I was surrounded by unknown people dressed in black, saying “She went too fast” as if I did not belong there…but I felt no fear. Suddenly, I sat up, saw a glow at end of my feet and felt an all-encompassing warm love, that I cannot describe…as it was an unearthly love thst filled my soul. I thought of my mom and adult children, knowing they would be fine. I didn’t want to leave that love, but knew from what people around mme were saving…I had to depart. It was most spiritual I’ve ever felt…and just as quickly, I returned to earth. And I was very calm. That innate feeling of all will be okay if I die…Not afraid of death returned to me…I also learned from my experience black is not an EVIL color, but a mixture of ALL COLORS…BTW, my husband had died the previous May…and I was being wheeled down gurney to Trauma ER…I could feel him by my head, saying, “ I’m right here with you, baby, I’m right here”. And he was…I felt his hand on my shoulder. Thank you for always trying to clarify things for us Blair. One question for you, do our loved ones come back to earth as someone else? I was so so close to my dad and he past away 48 years ago, is it possible he’s back as my granddaughter? I swear it’s him in her! She’s got his smile , his sense of humour, his kindness, his sideway look he used to do all the time. She is so attached to me and I her! There’s a love there that I cannot explain that I have never felt before except for the love I had for my dad? Please try to explain this to me. Thank you for your time. Love and light. I am currently a 58 year old woman and believe I have a prebirth memory. I would love to hear if you have heard of this. This has left me feeling rather homesick and feeling a bit of a failure. I recall the elders feeling I was being ambitious with this life yet I have not achieved anything. In a rather difficult part of my life I heard loudly and clearly my name said. 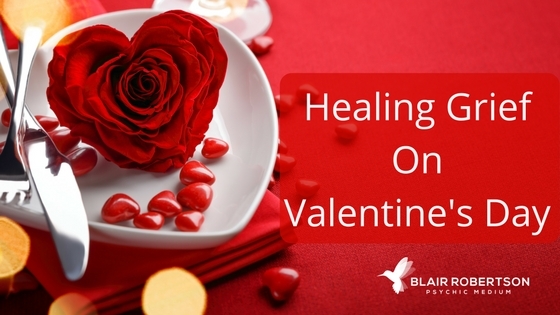 It was the most loving healing experience in this lifetime. An angel also saved me from going over a mountain brow. I’m not sure why except my children needed me perhaps. I look forward to seeing you in Ottawa this May. Hi Blair and Wendy. Saw you in Boynton Beach Florida, a fabulous night, thank you. Wanted to ask, will we see all the loved ones from our entire life in heaven? What if someone re incarnates as we are transitioning and don’t get to see them? How does that work? Blessings and light to you! !